An autopsy has found that heatstroke killed a Garden City Community College football player who collapsed after the first day of practice. 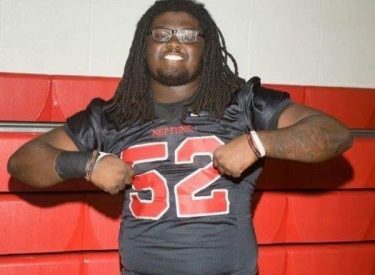 The Wichita Eagle reports that an athletic trainer found 19-year-old Braeden Bradforth, of Neptune, New Jersey, unconscious outside his Garden City Community College dorm room on Aug. 1. He died that night at a hospital. Former coach, Jeff Sims, who’s leaving the school to coach at Missouri Southern State University, previously said the emergency room doctor suspected a blood clot. But an autopsy report filed last week blamed the death on exertional heat stroke. The report noted that the 300 pound (136 kilogram) lineman was vomiting and had a history of asthma.